Every page of the 100-page book is heavy with the painful experiences of short people. “Have you ever thought of the hurdles we go through every single day of our lives, in public and behind closed doors?,” asks 30-year-old PV Vipin. He is 4ft5in tall and is the author of a book that tells the stories of short people. 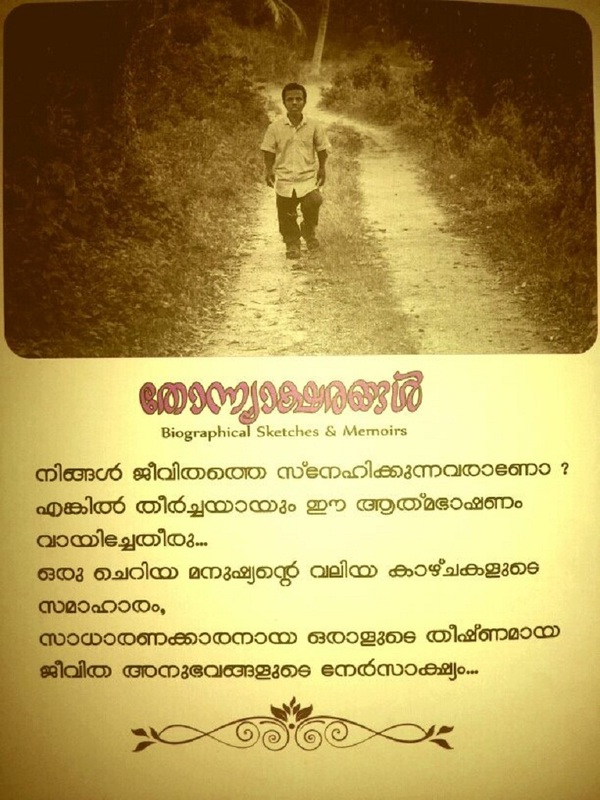 A native of Alappuzha in Kerala, Vipin’s first book titled ‘Thonnyaksharangal’ was released on Saturday. Every page of the 100-page book is heavy with the painful experiences of short people. Vipin, who works at a provisions store in Cherthala, says that the book is a retelling of the many unheard experiences of short people like him. The book was released by Advocate Kavitha, a member of Tall People’s Association. Although society would see tall and short people as the opposite ends of a spectrum, Vipin disagrees. “We wanted to highlight the positive relationship we share with them. We even join them in their association’s activities sometimes,” Vipin says. The issues they face in public are not unknown to society. “But what about those that they face behind closed doors?” he asks. Giving an example, Vipin says, “When we stay in a hotel room, we are often unable to latch the door without someone’s help. How can I not tell these stories?”Though the government recognizes them as disabled, it is society which often fails to deliver enough support, he says. “People tend to think that our lives are normal just because we do not face health issues because of our height. But, the reality is that we are short people with as much responsibilities and aspirations as tall people, but are often unable to fulfil them,” he shares. It was a newspaper advertisement in 2005 that Vipin considers a turning point in their lives. When Director Vinayan cast short people in his Malayalam film ‘Athbhutha Dweep’ it was not only a novel concept for the audience, but it gave this community the confidence they yearned for. It was then that Vipin, along with five others decided to form All Kerala Small People’s Association to organize the community. Researched showed them that there were many such associations abroad. This strengthened their desire to have a representative body. Formed in 2005, it was only registered in Cherthala in 2013 and has 230 members. Vipin is now the chairman. The association is now a support system for the community. From family issues to problems at workplace, the association members come forward to help each other. However, women’s representation is almost non-existent.